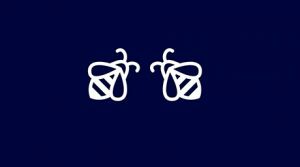 We’re getting ready to kick off the 9th annual UBC Library United Way Spelling Bee on Thursday, October 11. 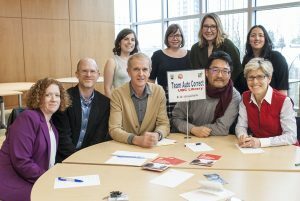 Units from across campus participated in the annual UBC Library/United Way Spelling Bee on November 16 in the Irving K. Barber Learning Centre. Sign up to participate in the annual event by Thursday, November 10. 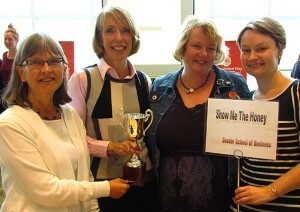 This year’s 6th annual United Way and UBC Library Spelling Bee took place on October 13. 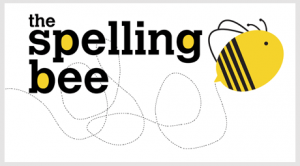 UBC Library and the United Way are hosting the sixth annual Spelling Bee on October 13. 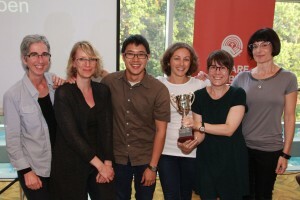 16 teams competed for the 5th annual UBC Library and United Way Spelling Bee. 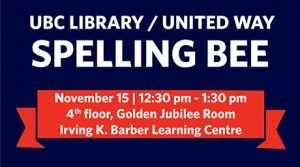 Register a team and compete for spelling supremacy in this cross-campus competition to raise awareness for the United Way. 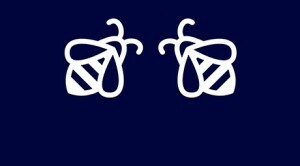 The UBC Library/United Way Spelling Bee received some buzz on CiTR radio and the Ubyssey. UBC staff are invited to a competition to raise awareness for the United Way. 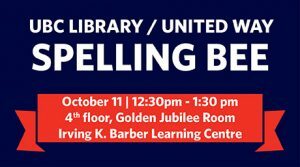 Assemble your best spellers and compete for the United Way Cup of Victory!